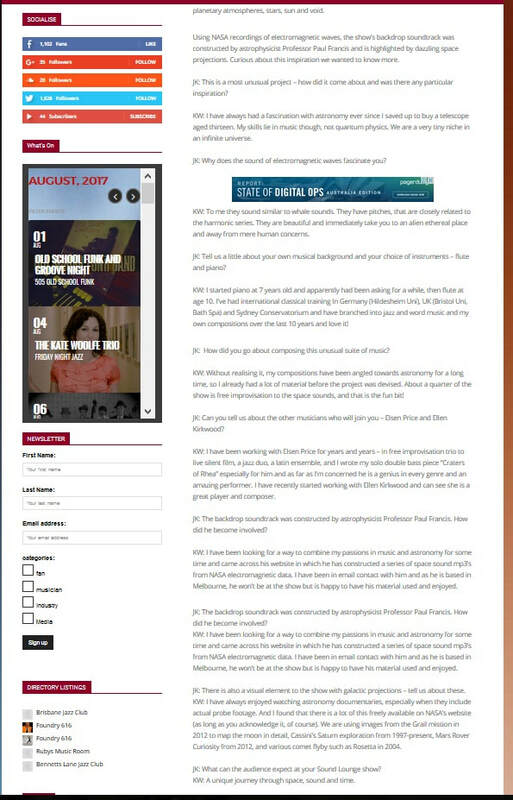 Jan 2018 - The Music Trust/Loudmouth Orbits and Riffs review by Jospeh Cummins "a certain sonic luminescence...highly evocative and adventurous"
June 2017 - Jazz and Beyond Orbits and Riffs review by Peter Wockner "Full of sonic textures and infinite possibility, this is one of the true concept albums of recent years. 4 STARS." 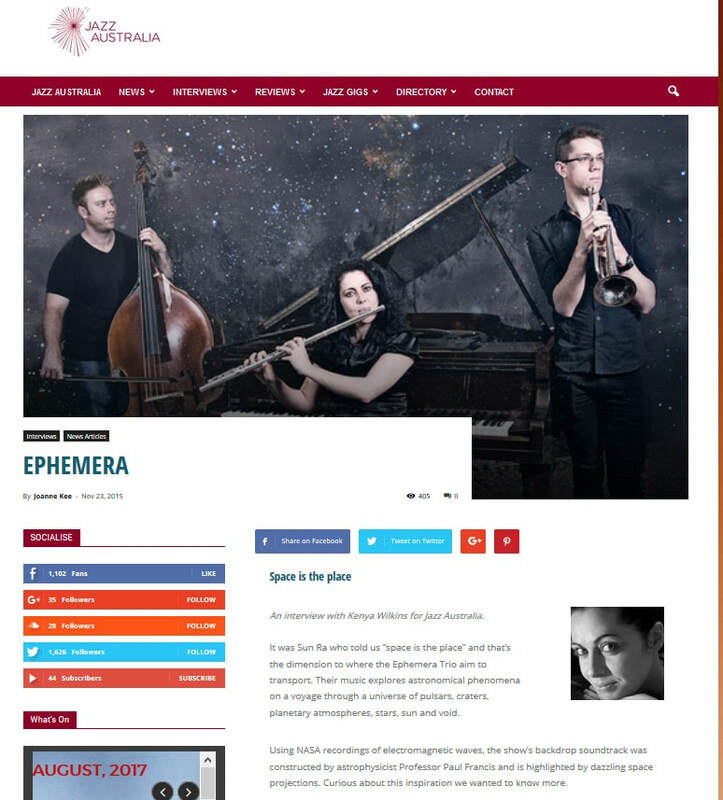 May 2017 - Cut Common: "Ephemera Trio is taking us on a voyage into the universe, morphing the elements of space into new music. 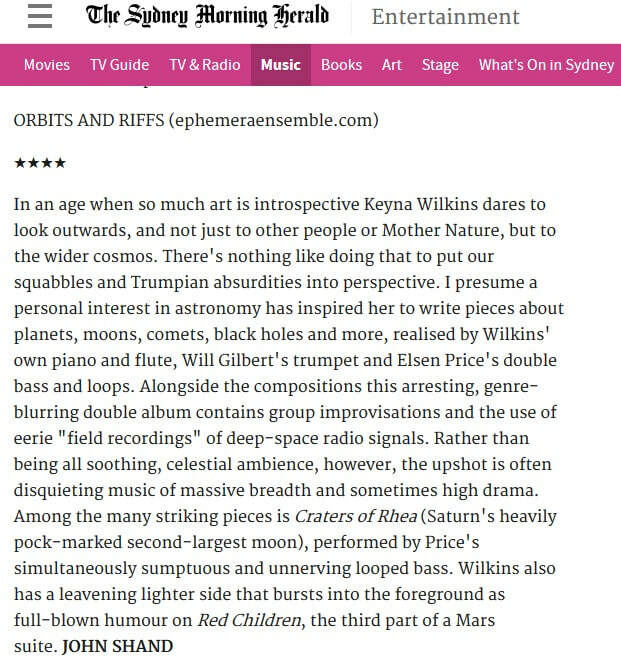 Curious and inspiring, Orbits and Riffs is the group’s new album that uses NASA recordings of stars and planets’ electromagnetic waves, and combines these otherworldly sounds with jazz, classical and experimental music." 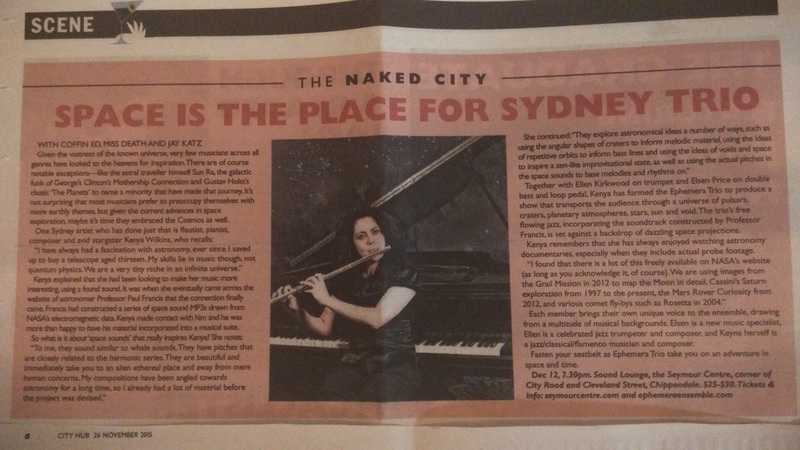 MAR 2016 - Skye on Stage review of Ephemera show @ Sound Lounge: "Not, perhaps, since Karen Carpenter called occupants of interplanetary space have musicians extended a hand quite so far. 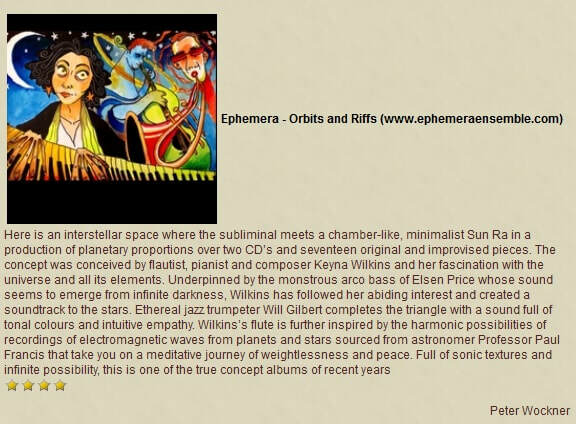 The music and more is, truly, out of this world.... this is an intergalactic love song dedication that knows no peer"
​NOV 2015 - Jazz Australia Org: "It was Sun Ra who told us “space is the place” and that’s the dimension to where the Ephemera Trio aim to transport. 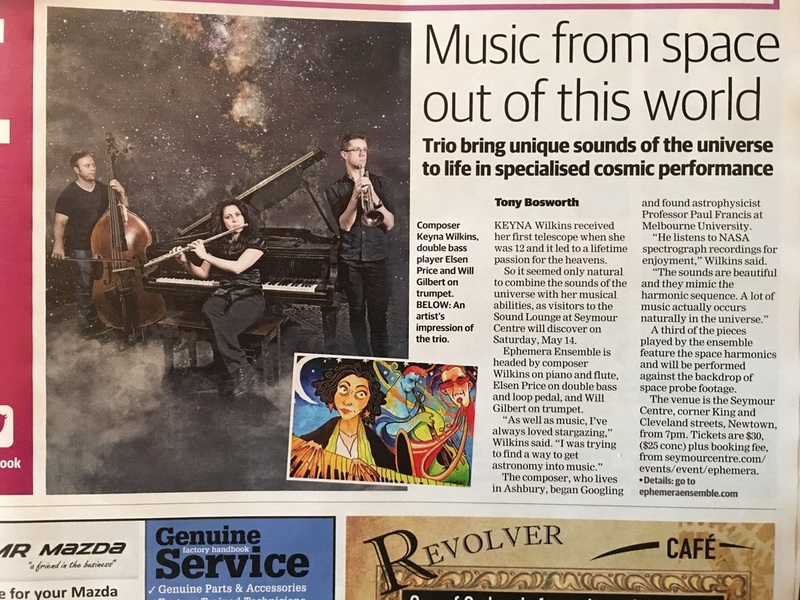 Their music explores astronomical phenomena on a voyage through a universe of pulsars, craters, planetary atmospheres, stars, sun and void."